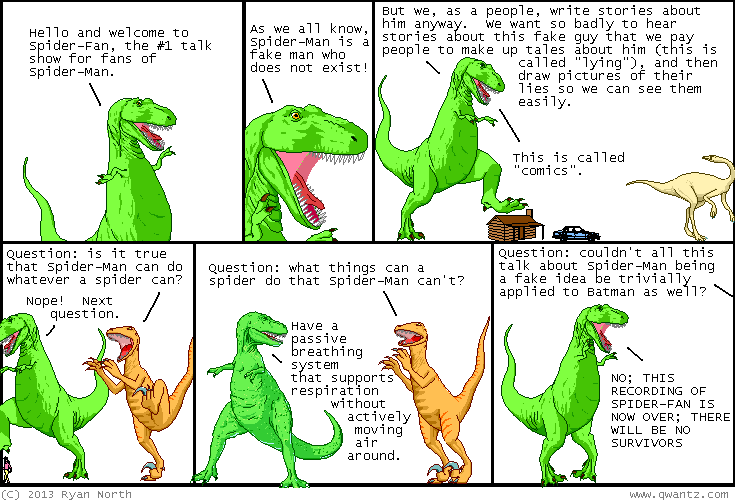 Dinosaur Comics - October 16th, 2013 - awesome fun times! October 16th, 2013: Achewood is like The Simpsons, in which whenever you go back to the early ones you discover phrases you've been using so long you've almost forgotten this was where they originated. Even judged by these standards, "a fake idea" is a classic.